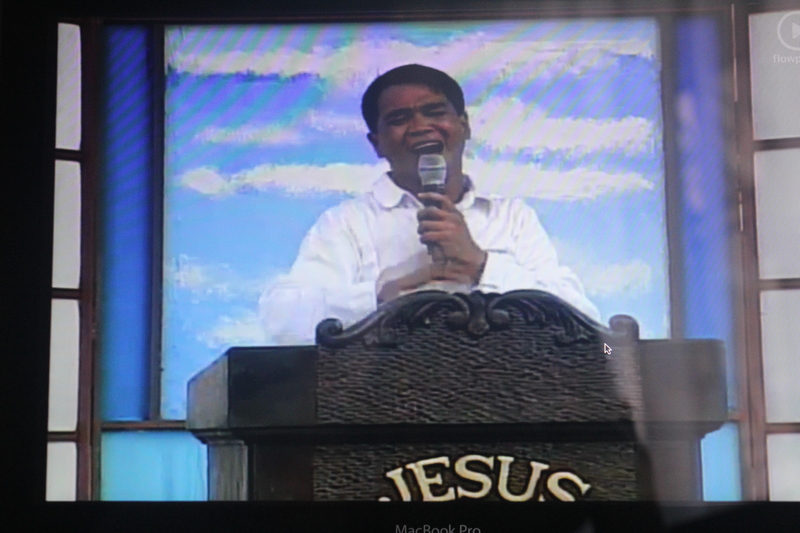 Brother Jao Apostol testifying in the pulpit on a JMCIM Sunday service at Amoranto Stadium, Q.C. One would listen to Bro. Jao Apostol’s testimony and one would marvel at the abundance of miracles in his life. I heard his testimony again last October 7 when the Church gathered to worship and celebrate the 12th anniversary of the victorious Mindanao Peace Mission and I knew I had to write it. Bro. Jao grew up in the Visayas where he was a sacristan (altar boy) in one of the big Catholic churches there. Though he worked in church every Sunday, this didn’t shape or train him into a godly person, but rather the exact opposite. He grew up learning all kinds of vices until the time came that he was accused in a double murder. Bro. Jao was so afraid he fled to Manila. In Manila, he allied with other ruffians and got involved in transport robberies, hold-up robberies, drug pushing, and other crimes. He would loiter in Luneta Park together with his friends waiting for someone to victimize. In one of these instances, since the crusades of the JESUS MIRACLE CRUSADE INTERNATIONAL MINISTRY were often held at the Quirino Grandstand in those days, a brother in Christ approached him and shared with him the Gospel. According to Bro. Jao’s testimony, this brother shared his testimony, how he was changed by the Lord and delivered him from all his vices and addictions, as tears streamed down his face. Bro. Jao’s hard heart was pried open and he went with the brother who invited him. Bro. Jao received the Lord Jesus Christ, was baptized in water in His name, and began to serve Him faithfully. He was completely changed by God. He started to work decently. He became a pedicab driver along Agham Road in Quezon City. But the police apparently didn’t know that Bro. Jao was a changed man. He had been closely monitored by them and one day, he and one of his companions were picked up by the police and brought to a deserted place somewhere in Fairview. When they had walked a far distance from the road, being obliterated by tall talahib grass, they were told to get down on their knees. They were to be annihilated. The two men aimed at Bro. Jao’s companion and without much fuss, they shot him in the head and he was killed instantly. While this was happening, Bro. Jao abandoned himself to the mercy of God. He had prayed silently and when it was his turn, the guns of the two men didn’t fire. They did it again and again to no avail. Suddenly, they were gripped with so much terror that they fled, running in great fear. And thus, Bro. Jao was delivered from their hands. Another one of his testimonies was about the healing of his child. His child got sick of pneumonia. It became so serious that he brought him to the hospital, to East Avenue Medical Center, upon the urging of his unsaved loved ones. But while his child was in the hospital, Bro. Jao needed to attend Friday overnight worship service. After the service, he went back to the hospital. He was met by his sister-in-law who was so fraught, accusing him of leaving his dying child. Then the doctors also approached him, informing him that his child had been dead for 10 hours. But Bro. Jao told them his child was only asleep and he would be raised up by the Lord Jesus. He ran to his child, prayed agonizingly, then laid his hand on him and cast out the demon of death. His child breathed and came to life again, and recovered from his illness. These are just two of Bro. Jao’s amazing testimonies. I hope to be able to write more of them in the coming days. Halleluaih! To God be all the glory! 2 god be the glory! !